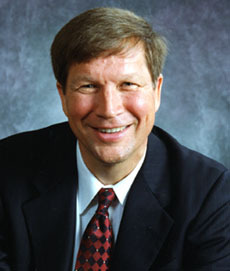 AKA John Richard Kasich, Jr.
Ohio state legislator and investment banker elected to US Congress for nine terms beginning in 1983, succeeding Bob Shamansky. Conservative Republican; generally anti-abortion rights, anti-gay rights, pro-death penalty, pro-gun rights. Key sponsor of the 1997 Balanced Budget Act. Supported 1990 Americans with Disabilities Act, 1991 Gulf War resolution, 1993 North American Free Trade Agreement (NAFTA), 1994 Federal Assault Weapons Ban, 1994 Omnibus Crime Bill, 1998-99 Clinton impeachment. Did not seek re-election in 2000, and succeeded in Congress by Pat Tiberi. Dabbled with a Presidential campaign in 2000, and again in 2015. Worked for Fox News for several years. Elected Governor of Ohio in 2010, succeeding Ted Strickland. Campaigned calling for elimination of Ohio's state income tax, and scuttling of a planned high-speed rail project. Last name rhymes with "basic." Persistent rumors of homosexuality dating back to the mid 1990s. Karen Tumulty, "The Baiting Game", Time 14 October 1996: "For almost 14 years it had passed without comment that the local Congressman, John Kasich, the powerful chairman of the House Budget Committee, stretches his paycheck by sharing a Virginia town house for the two or three nights a week that Congress is in session. His housemate? His male chief of staff. Last month Cynthia Ruccia, Kasich's Democratic challenger, called for a Justice Department investigation of what she said was 'a serious appearance of impropriety' because Kasich, who is divorced, lived with someone whose government salary he controls."